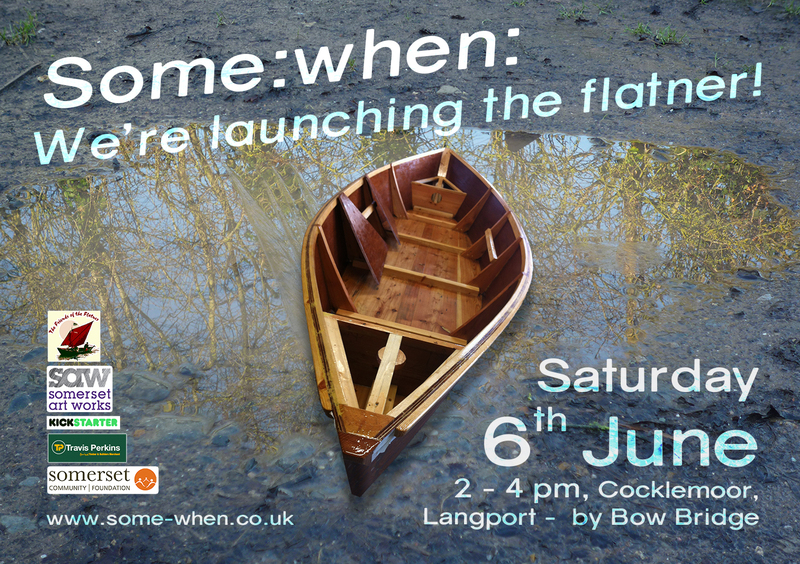 And at long last… …the much anticipated launch of the Some:when flatner will be taking place this Saturday as part of the Langport Town Festival. We will launch the boat from the steps near Bow Bridge. If you are driving, please park at Ridgway or near the bridge to avoid interrupting the Spirit Levels dress rehearsal at the other end of Cocklemoor.